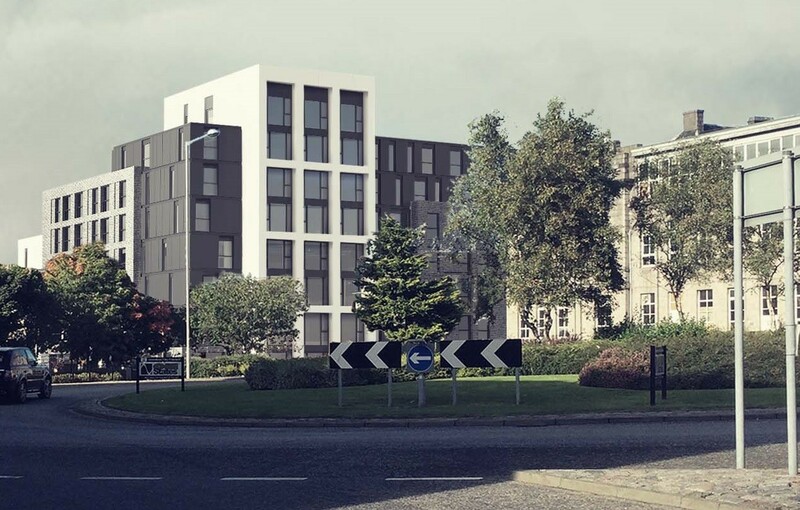 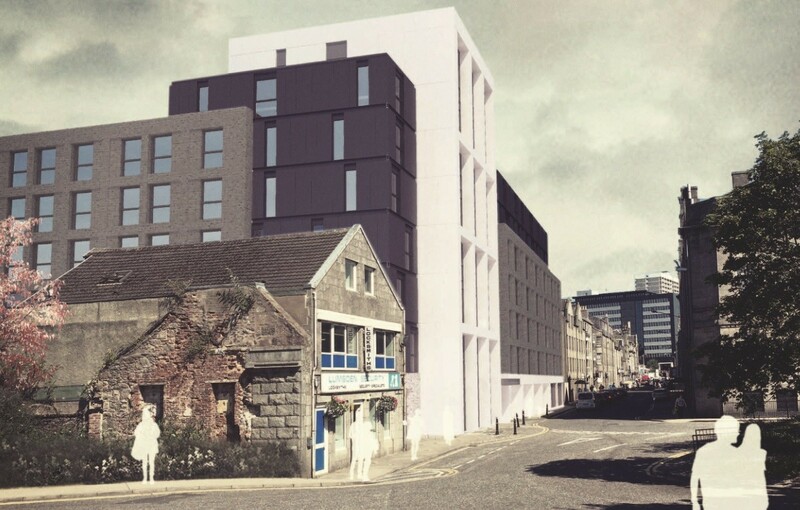 Aberdeen is being lined up for a 374-bed student housing development by developer Downing with submission of a planning application for a site on John Street, Aberdeen. 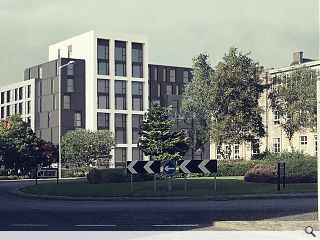 Drawn up by Fletcher Joseph Architects the scheme aims to connect the city centre with Woolmanhill by bringing an area of brownfield land back into use and offering an active frontage. 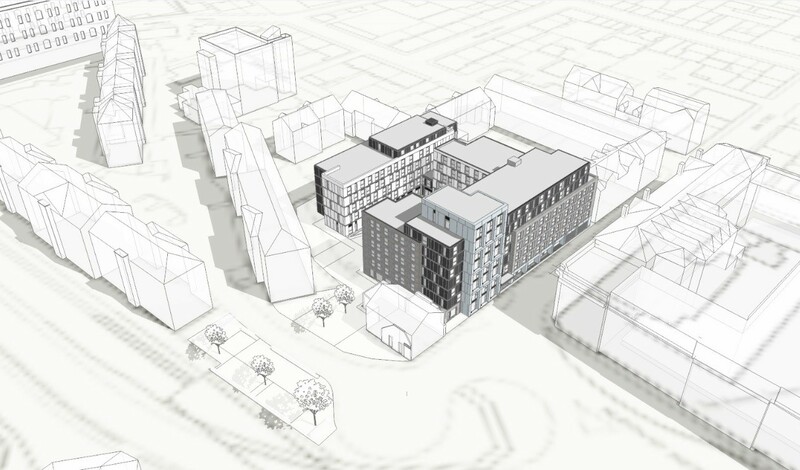 The U-shaped build will occupy a prominent corner plot, stepping down in height toward the rear and framing a communal courtyard and amenity space. 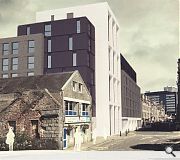 Faced in grey brick and aluminium cladding panels, with ceramic tiles reserved for a ‘feature’ tower, the massing has been conceived to frame views of the street whilst reflecting historic architecture. 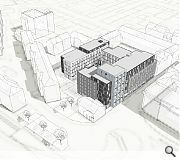 Assuming all goes well during the planning process the first students will move in by summer 2018.